Passengers of US Airbus A320 will be thanking their lucky stars they purchased travel insurance, among other things, following the Hudson plane crash. The crash has been christened the "Miracle on the Hudson" after all 155 passengers survived thanks to the expert aviation skills of pilot Captain Chesley Sullenberger, who landed the plane on the Hudson River, allowing the passengers to escape. 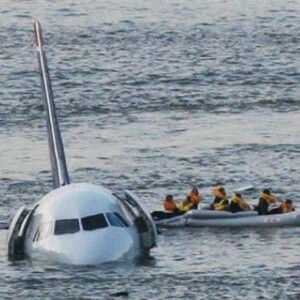 New York Mayor Michael Bloomberg is quoted by the BBC as saying: "It would appear that the pilot did a masterful job of landing the plane in the river. "He walked the plane twice after everybody else was off and tried to verify that there was nobody else onboard and assures us there were not." The plane encountered technical trouble approximately three minutes after take-off after reportedly hitting a flock of birds. The Hudson River is a 315-mile stretch of water which forms the border between New York City and New Jersey, US.